‘Tis the season for unexpected gifts. High school teacher Reed Mason wants a family to call his own. When his prayers seem to remain unanswered, he expects to spend Christmas alone working on home improvement projects. But plans change when a chance encounter with a child’s letter to God touches his heart. Inspired to help someone in need, Reed sets his sights on assisting his beautiful new neighbor. Independent-minded widow and single mom Emma Richards wants a fresh start. When she moves to Shenandoah Valley with her son, she expects to handle life’s challenges on her own. But plans change when her handsome neighbor takes a sudden interest in her well-being. As Reed maneuvers his way into her heart, Emma sets out to discover his true intentions. Reed took his place at the desk, handed over the packages. “Shopping online takes the fun out of browsing the aisles. I like to pick out something special with my own two hands.” Reed flexed his fingers. The personal touches of country living made Reed fall in love with Shenandoah Valley nearly a decade ago when he’d first graduated from college and started his career. He’d had his choice of working in many big cities, but he had never regretted choosing the small town of Oakburn as his home. Nestled amongst the Blue Ridge Mountains, Oakburn had all the small-town charm he could hope for. Reed paid the postage and stepped aside to make room for the next customer as he placed his change into his wallet. The door opened, wind blew in and one of the letters in the bin fluttered and dropped onto the floor. He scooped it up, hesitating when he read the crayon colored words on the front. To God who lives in heven. The child’s handwriting looked crooked and staggered. Intrigued, Reed studied the folded piece of red construction paper. It had no envelope, just one crease down the middle concealing its contents. “I’d be happy to.” Reed stuffed the paper into his jacket pocket. He was overdue for some prayer time anyway. While he was at it he might just make one more plea to God for that special someone to enter his life. Question 1: Emma Richards has her mind set on being independent and single until she meets Reed Mason. Pride tempts her to refuse his help and keep him at a distance. But, when she sets aside her pride and allows him to assist her, romance blooms promising a beautiful future. How might Emma's life have been different if she hadn't released her pride and given Reed a chance? Question 2: Reed thinks his prayers for a family have gone unanswered, but remains faithful that God will answer in His timing. How do you think his unwavering faith affected his journey to finding his own family? Question 3: As a six year old, Luke Richards brings an uplifting and fun element to the story. What can we learn from this child's perspective as he trusts without doubt and forgives without hesitation? Question 4: Life is full of distractions and time consuming obligations. 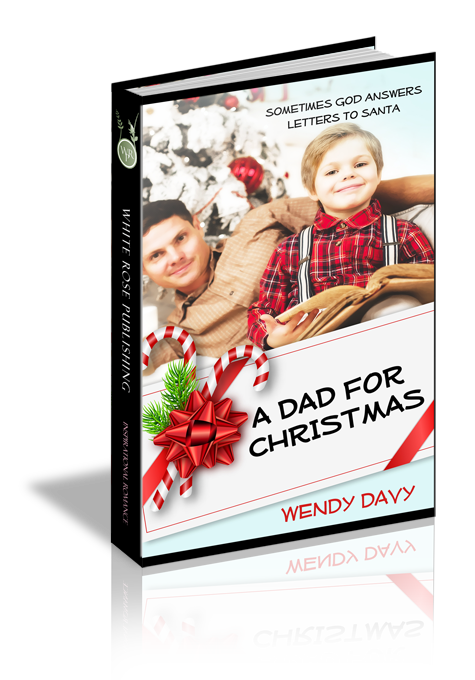 When Reed finds the child's letter to God, he promises to pray for the child's wishes. When he follows through, God leads him to Emma and Luke. How might things have turned out differently if he had become distracted and not read the letter? Have you made promises you didn't keep because life got too busy? What opportunities could you have missed?